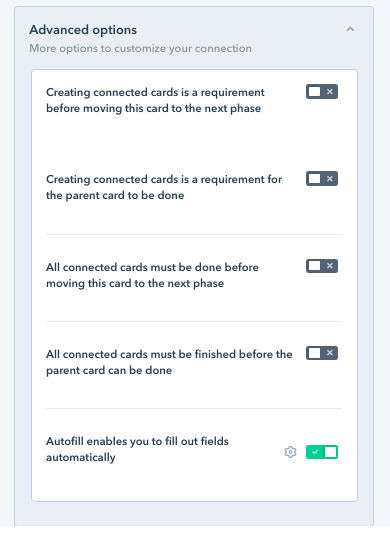 When creating a connection/connection field you have a few advanced rules that enable you to determine how this connection will work. You'll see the pipe/database's start form and, when you click the "+" in the dropdown menu under the field's name you'll be able to choose from the fields of the origin pipe. It's important to note that you'll only be able to connect fields that have the same type (number > number, text > text, etc.). Ps. 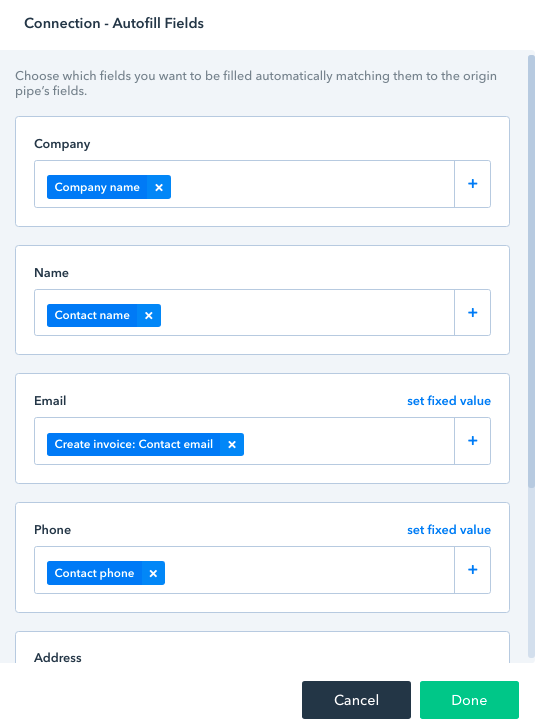 The autofill feature is currently active using the connection feature (both to pipe and database) and using the connection field (between pipes or a pipe and a database).